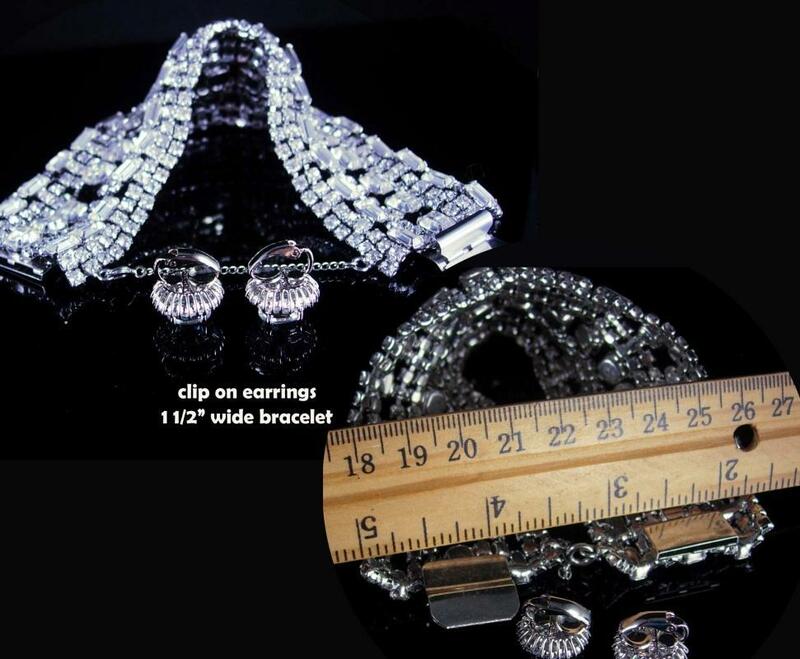 Even brighter and more brilliant in person this wide ( 1 1/2") has 11 rows of hand set prong set rhinestones that have large beautiful baguettes. 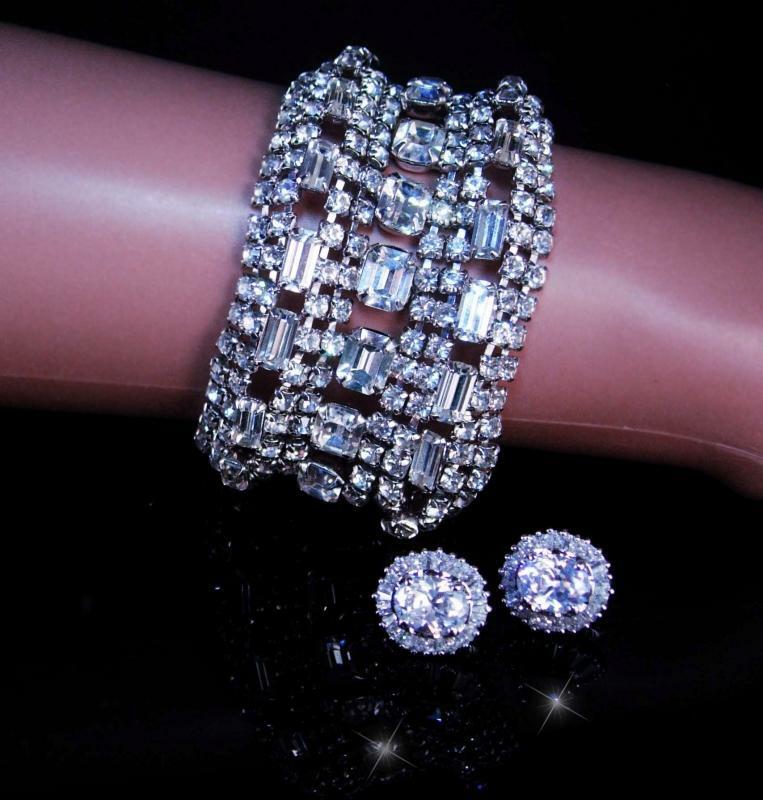 This bracelet will not disappoint you, it will be the envy of everyone who sees it. Never before offered for sale, this has been in my personal collection until now. This has its original safety chain and is all original and in excellent condition. I have added some newer clip on earrings that are gorgeous! Loaded with sparkle they really go well with the bracelet. It measures 6 3/4" long and is one of the most brilliant pieces I have ever seen. This is heavy and well made and I hope it gets a home where it will be shown off and adored. Ask about our ten percent off special before you buy, it could save you a lot of money. 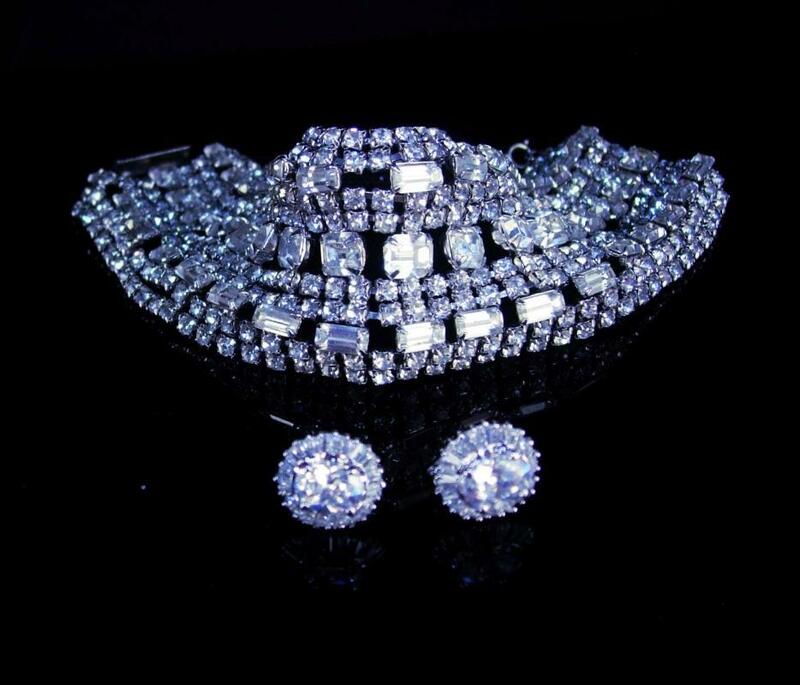 VintageSparkles offers Layaway on all our pieces regardless of which site it comes from.All layaway payments will need to be in the form of a check or money order only. Please remember that vintage & antique items are not mint, nor are they perfect but they sure are full of old history and charm. Please use photos to make your decisions and read our policies prior to buying so you can have an excellent experience with us. 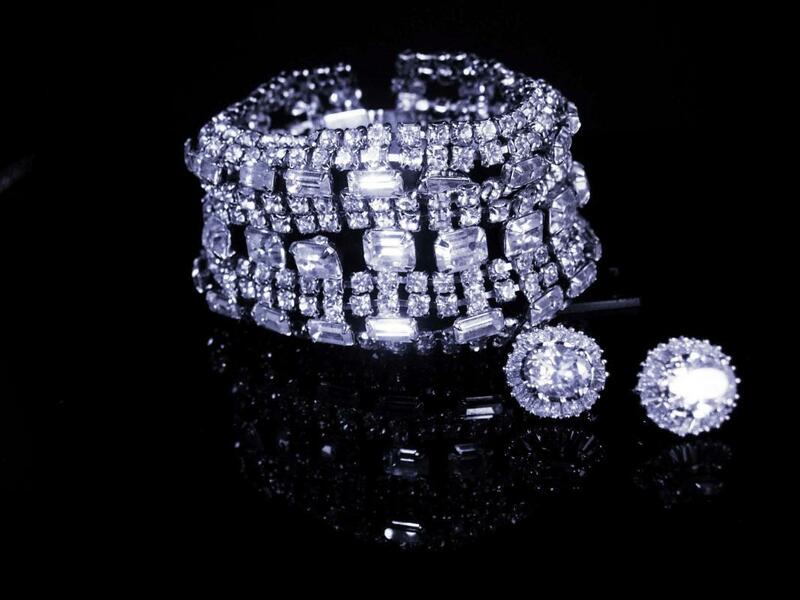 row BRILLIANT Baguette Showstopper bracelet LOADED with glass stones Please use this number when ordering ga0000194 If you want to see more of these pretties this is the link to my store. 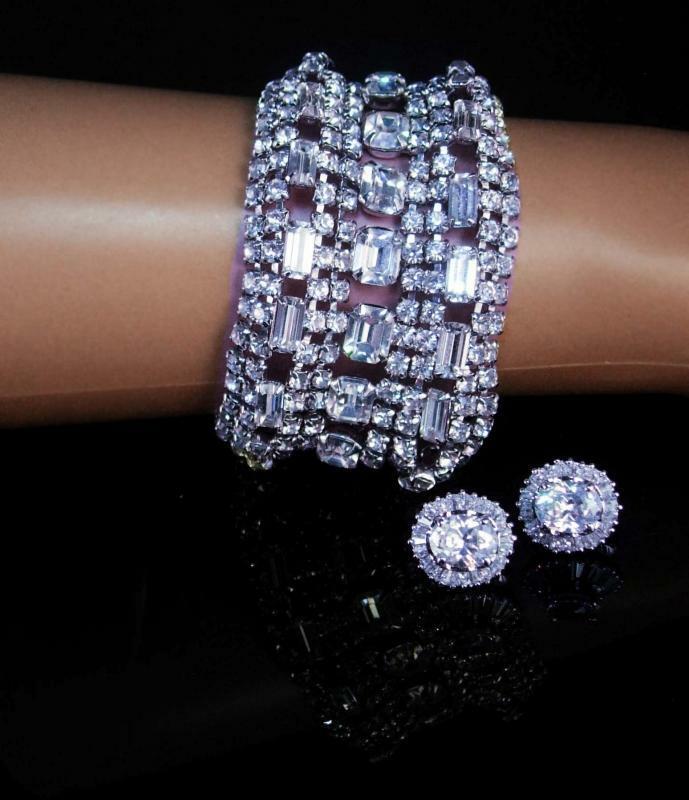 Items Similar To "Vintage 11 row bracelet Rhinestone bracelet Clip on earrings BRIL..."